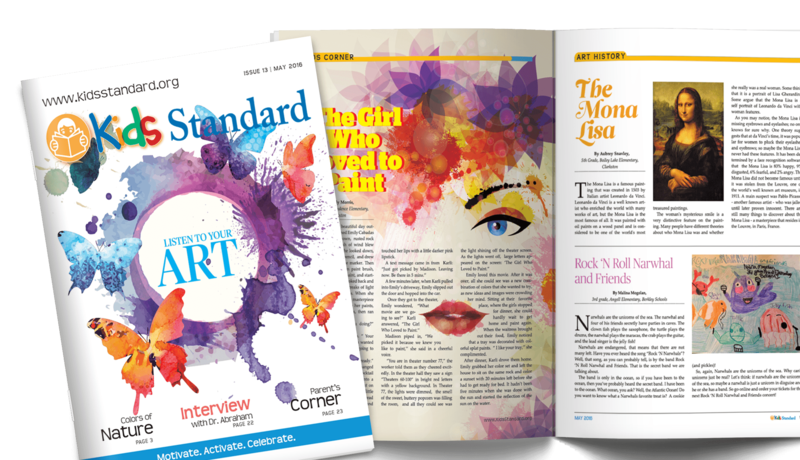 You’ll love our one-stop magazine printing and mailing services. You don’t have to leave your desktop or office. Just get online, get a price, upload files and we’ll mail or ship your magazines in as soon as 4 to 7 business days after proof approval with a satisfaction guarantee! Our nationwide customer base from Los Angeles to NYC has given us a 9.4 Trustpilot Rating and a BBB rating of A+. Read our Rave Reviews and try us out for yourself. Thousands of satisfied customers can’t be wrong. Satisfaction guarantee! Our professional quality perfect bound or saddle-stitched custom magazines are printed in full color with vibrant photos on 100# gloss or matte text and 80# gloss or matte cover paper which can be UV coated to give that luxurious high gloss finish. We specialize in short run, small quantities and bulk printing of 10 to 2,000 so we can give you the cheapest prices for your monthly, bi-monthly, quarterly or annual publications. Take advantage of our predesigned or blank templates to help you get started. I was very pleased with our first order, but less enthused about customer service. This order was significantly less satisfactory, especially in regards to the representative on my project, but also in regards to the printing. All of our magazines were off centered and they came out longer length-wise than the size specified, by about a centimeter. We publish our magazines as quarterlies, so it's noticeable when one issue is larger than the other, and that added to the fact that they're all off-centered is truly disappointing. In addition to the printing, there was poor management of our order (we uploaded the same file twice and they never called it out, and instead I had to call each time there was an issue with the proof. In my opinion and from working with vendors like this for years, this should have been called out as there was a 16-hour window between submitting the files and the proof being returned. That in addition to not receiving a proof until 20 min before the deadline to approve for the day pushed our shipping deadline back by days. This experience makes me wary to use Printing Center USA again. I'm disappointed because I do like the quality of the prints and the price, but I don't want to have to go through this again. Great print quality, came as described and on time. The proof approval process went quite smoothly and all tweaks to the job were corrected. Loved the young lady I worked with over the phone. She was a total pro and very patient with a true novice. The product is marvelous! I am a big fan of this company. Typically I would give this a 4, got my order as ordered. Nothing more or less with the printing. They earned the extra because they made a rushed delivery I requested, they did a quick proof turn around, and when I emailed asking a question it was quickly and accurately responded to. Their work is as expected, what you ask for, their customer service, so far, is wonderful. PCUSA hit it out of the park with another great product! We just had our 2nd annual all photo issue of our magazine published and our customers are raving about it. It's the best one yet. I would like to suggest that when an order is put on hold, instead of emailing that info, text it, just like you do when the product is shipped and delivered. They delivered! Everyone was impressed by the quality of the print color, and we received the magazines when they said we would. We are very happy with their services, and we look forward to working with them again. Excellent quality and the customer service was fantastic! Will definitely use again! This company is amazing. Our booklet had a mistake on the cover. We received a call from the company pointing out that mistake and they fixed it the same day for us. Then, we got our booklets within a week of our order, regardless of the correction that needed done and the fact our order was made on a Thursday (we had our box in hand by the following Wednesday). Also, the quality is out of this world. This company is amazing and a true God send. We will use them in the future for many printing jobs. Excellent service and very friendly staff. We were under some time pressure due to the holidays and we got everything we needed in time. They were very friendly and understood the time pressure and worked with me to get us what we needed in time. The final printed result of the magazine was even beyond what we expected in terms of quality and vivid colors. Thanks so much for your help and we will definitely use you guys again for any future publication. I am more than satisfied with the quality of your printing. I was skeptical at first, based on the price, of what the quality would be. I was pleasently surpsrised. The quality of my prints far surpassed what I had received from Office Depot and Alphagraphics for half the price! Highly recommend! Beyond Thrilled!! We're going into our 2nd year of production with our magazine and the quality of the magazine is top-notch. We're excited that PCUSA has started using text to keep us up-to-date on when things are shipped. I had a wonderful experience having a magazine printed. They had a proof ready almost immediately, caught a spelling error that I had missed even after proofreading multiple times, and printed, assembled, and shipped really quickly. Customer service was wonderful and responses were really quick and friendly. The final product turned out great. I’ll be using this company again for sure. Affordable and I was surprised at what great quality my little magazines were. My only complaint is that when I called with a question about the printing process, the woman I spoke to got snappy with me when I was very polite and asked a simple question and explained that I was very new to this. (The receptionist who sent me back to her was VERY polite though.) The bottom line is that the product was perfect and I will be recommending this company left and right to my clients. Image quality was good, however their were some print errors that didn't show up in the proof. as well as some ink smudging on many of them This made it to where I had to charge less for the magazine. Beyond beautiful printing. This is now my new go-to printer. This is my second review of Printing Center and I have to say, they produce nothing but high-quality work. Thank you! We are happy with the quality of printing. But very disappointed with a mistake. When we called and talked about placing an order, nobody explained to us that saddle stitching means stapling. So we were shocked to receive that journals we ordered with staples. It looked so cheap, when we wanted a quality product. I love the way by booklets turned out. I wanted something small to use as a catalog and these were perfect. Printingcenterusa.com is the best of both worlds. The affordability of online printing with the care and customer service of a local print shop; actually their customer service is probably better than any print shop. It was a pleasure dealing with them. The quality of the work they produced, especially for the price, is amazing. I highly recommend them. PrintingCenterUSA beautifully reproduced every facet of the magazine the we had printed through them. The look, feel, color, crispness, and weight of the magazine were all perfectly duplicated from the electronic document that we sent and we couldn't be happier with the results. Will definitely be using PrintingCenterUSA for all of our printing needs. I was extremely pleased with the quality of the printing! The process was simple and both processing and shipping times were fast! I look forward to using their services again in the near future! Very easy and simple to use, I am very pleased with the outcome of the magazine and quality of the print. The ordering process couldn't be easier. Pricing is straightforward and easy to understand. Communication was fast and efficient. We were thrilled with how our first-run magazines turned out and pleasantly surprised at how quickly they arrived. The quality was excellent! We'll definitely be choosing printingcenterusa.com for our next issue! Thank you! We are so glad we switched printing companies. The magazine order we placed came out even better than we expected and 10% less than the other company we were using. As a small nonprofit, it is so important that we get quality and affordability from every project. Thank you!!!!!!!!! The magazines came back incredible. Better than we anticipated. We will use them for all of our future printing needs. VERY easy to order, shipping was fine and fairly fast. Printing quality is good, but not amazing. But you get what you pay for and was the lowest price on the market. All in all, I'd recommended it to others! After using them several times I have come to realize that if you take your time to learn the products, make the necessary phone calls to ask for help and get it done in the specified time that everything works out. Once again PrintingCenterUsa delivers!! Our magazine is published 5 times per year and we've had no problems with any of those publications. Each is extremely professional looking and they are delivered in a timely manner. Our clients love the look and feel of the magazine and are beginning to ask why other photo magazines don't look and feel as professional as Celebrating Life magazine does! OMG! The quality of the 16 page magazine you did for us was amazing! Even better than i hoped. And the turnaround was fantastic. Submitted on a Monday and had it the following week! Will definitely be back for more! This was the 4th edition of our magazine and it's the best one yet!! The quality and look of the magazine are outstanding! Our reader's are raving about the content and the look. Thanks PCUSA for making us look better than we could on our own. I created a magazine and was a little unsure of how they would look when arriving. I was pleasantly surprised! The magazine was easy to load, the preview was available in a reasonable time and my magazines arrived ahead of schedule. Very happy with the quality and the price of this. I will order from this company again! I am the editor/writer/publisher/owner of Celebrating Life magazine (celebratinglifemag.com). It is published 5 times per year. We just had the 3rd issue printed and I am delighted with the quality of not only the Fall edition of the magazine, but also the Spring and Summer editions. Most importantly - my subscribers love the quality of the paper, the feel of the paper and design/layout of the magazine. Great job. I checked our local printers and they couldn't touch the price. I worried that the quality would not be quite what I was looking for. The print job is perfect and the quality is excellent! Very, very excited about our new hotel magazines. Thank you. We had a batch of 100 magazines to print and needed a quick turnaround. PrintingCenterUSA had the best deal, the templates were very helpful, and the turnaround and quality were as promised. I am so pleased with the printing quality. The whole process was intense because of me and Printing Center USA did everything in their power to make it stress free and to ensure the quality. Well, they did it! I got it on time, it was exactly the quality I was looking for but I was not sure I was going to get it for the money I paid. Thank you so much Printing Center USA, I will certainly continue using your services and will refer you. Awesome company to work with. I placed a large order of magazines on a REALLY tight deadline, and PrintingCenter USA was really accommodating. Their customer service people are really informative, patient, and upfront (they answered a thousand questions coming from me), and they also informed me that they were short-staffed that week, but still shipped the project out on time. They were amazing. Would definitely work with them again! Can't say enough good things about my experience with this company. I ordered some wedding planning guides for my photography business and they were absolutely BEAUTIFUL. The print quality is fantastic and they were printed/ shipped in a super timely fashion! Will be ordering from them again! The product is good. The printing & shipping times are a little misleading as the "printing times" don't include the day needed to approve the proof. To be more honest, the "printing time" should include an extra day. I can't get over how great the printing quality is at Printing Center USA. My latest print job from them was 1/3 of the cost of the comparable printers. We saved money, and now we have an awesome product!! As a graphic designer, I love when my design on screen matches the printed product (colors, clarity, saturation). These guys are pros. I wish I'd known about them sooner!!! Our magazines came out great, second year in a row. We publish a high school literary magazine and Printing Center USA has printed it both years and we've always been very impressed with the quality. Very sharp and precise printing, great color reproduction, and accuracy. On top of that, it's an amazing price. Much cheaper than we could get from our yearbook printer. Highly recommend. I have never been so pleased in my life over an order that I placed online. This Company is the bomb! Such great customer service and final product! Couldn't be happier. Received my second shipment yesterday & I am still very impressed as a new customer & trust me I can be hard to please at times lol but all me expectations was met & exceeded. I just received my first shipment & I AM VERY IMPRESSED. I was skeptical at first because they cost a fraction of what I am used to paying. So I thought quality would be an issue. However the quality is great, the photos are very clear & they are already selling fast! I will be using these guys permanently! Have another shipment coming in tomorrow! Fast Service, great quality! Recommend to anyone. We have been using Printing Center USA for over three years and have been impressed with their work and always receive compliments on the look and quality of our publication. Print order 219839 / 472115 Hello Mary... Kyle here. Received this order today. Great timing, great quality... but I am pretty frustrated. I sent the pages in specific sequential order. Not only did I number the files but uploaded the same way. And made a point to point that out on the approval. Can I understand why it is completely out of numeric order? It is laid out in way it makes completely no sense. The only page in appropriate place is the Cover. Please advise asap. This is utterly disappointing. This is a great Company !!! Have had you print several jobs and was definitely disappointed this time as I felt like my job was forgotten and then rushed as it wasn't the usual quality I get from you and was also not shipped as promised so didn't arrive when it was supposed to. The printed job felt different, the saddle-stitching wasn't well done. Hence the 3 stars for an average job, when normally I give you 5-stars. I will use you again to see if I get my usual 5-star quality with the next print job. This is the third project I've printed with printcenter and they've always been amazing and consistent. I will continue to use them for future editions of my magazine. My 8.5 x 5.5 zines came out beautifully! Most printing companies tend to have outrageous prices, but it's nice to know that there is a company like Printingcenterusa that does great quality work and offer great pricing. Definitely recommend! Quality printing, quick deliver, friendly and professional customer service. Thank you so much! Good customer service, and fast shipping. PrintingCenterUSA is the best! Running a small magazine business they are extremely helpful and do everything to make sure I am completely satisfied with my orders. My last order was ready to go to print and they noticed an error in my publication and called me right away. I am so thankful! Amazing quality. Great turn-around time. Very cost effective. Our go to printing source! I was on a tight deadline and the staff really came through. Will be using again.